You are light on your feet and you like to have a good time? Then our discotheque will surely appeal to you. 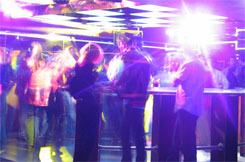 To the beat of its lively music, Thursday's Club will turn your evening into a memorable experience. You will be so delighted with our rotating dance platform that you will spend the best part of your evening there. 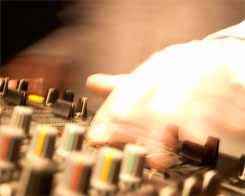 You rhythm enthusiasts will appreciate our wide variety of musical styles. And our unique lighting set-up is truly dazzling. For generations, thousands of Montrealers have spent the best of times at Thursday's Club, always considered to be an essential stop on any tour of the city. For an incomparable evening, this is the place to be. And you will want to return time and time again.